Ashwin began from P2 in the second race as the reverse grid came into play but couldn’t show the same speed that had put him on top of the table through the season. He suffered a 10-second penalty for a jump start to finish last. Nayan (P5) and Karthik (P6) made their moves right away, surging past the field to take the first two places. It helped Karthik sneak ahead of Ashwin by three points, giving him a total of 82 points. Nayan’s 15-point haul on the day saw him jump to 81 points. Ashwin is now in third place with 79 points. The Euro JK will fittingly be decided on the last day of the championship, the Grand Finale on Sunday, in front of close to 50,000 screaming fans. MSport’s Vishnu Prasad showed his usual verve as he claimed Race 1, streaking past pole leader Dark Don’s Rohit Khanna and Sandeep Kumar. 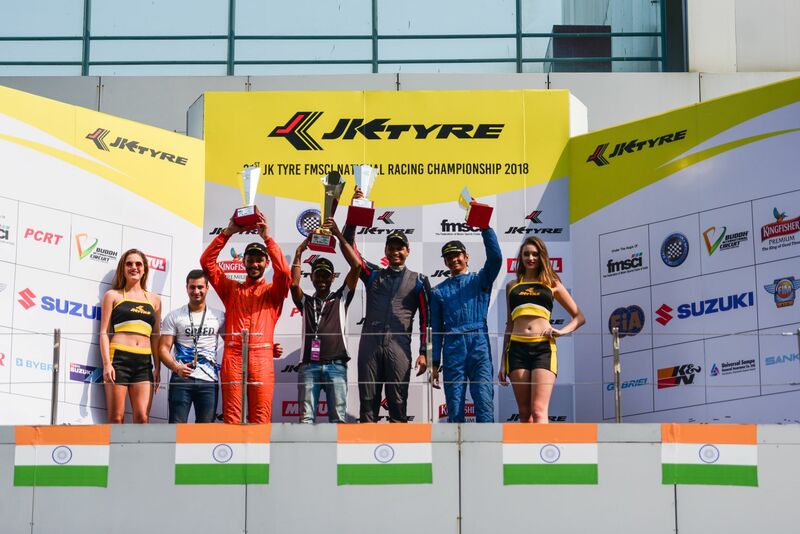 He also took the fourth place in Race 2 to be in a good position to take home the title. Rohit finished second in R2, behind Diljith TS, but that was not good enough to bring him back into contention.